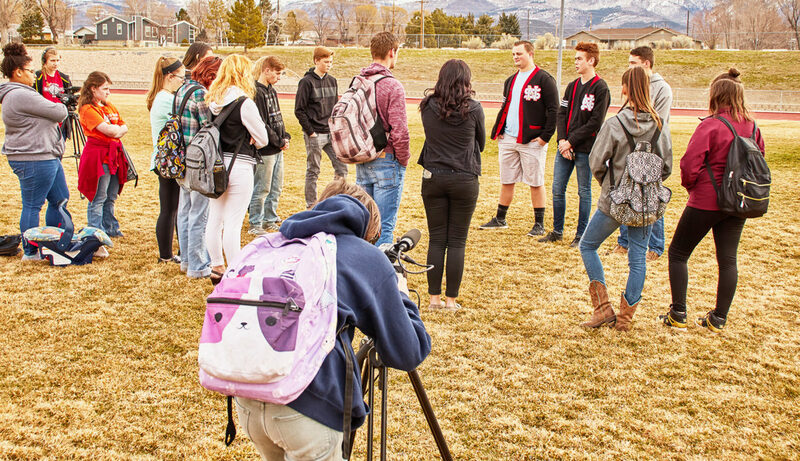 North Sanpete High School students gather around their student body officers, who delivered a message of kindness and support during the students’ observance of National Walkout Day last week. Approximately three dozen students participated in the walkout on Wednesday, March 14. MT. PLEASANT—It wasn’t about gun control or political agendas. It was more about paying respect to 17 who lost their lives needlessly last month. Although approximately three dozen students participated in National Walkout Day last week on the North Sanpete High School (NSHS) track, the student body officers emphasized that the event was about support, free speech and respecting the lives of those who died in recent school shootings—not about pushing any political agendas such as gun control. Makade Talbot, student body president at the high school, said the events unfolded after some students had approached the administration asking if it was okay to participate in National Walkout Day, an event organized by civil rights advocacy group Women’s March Youth EMPOWER that planned for students all over the country, and even the world, to walk out of school for at least 17 minutes to make a mass statement. The National Walkout Day website lists tighter gun control as one of the advocacy group’s issues, but Talbot said they chose to minimize the political agendas in the local event and instead chose to focus on being supportive. 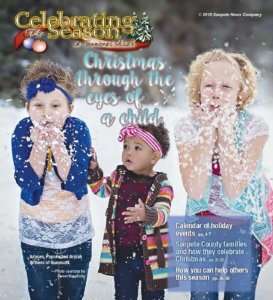 Although the event was not officially school sponsored, Nan Ault, the high school’s principal, said she approved of the students’ exercising their expression of free speech. As 9:45 a.m. arrived on Wednesday, March 14, which was the designated National Walkout Day participation time, students began to trickle on to the school’s track and field area. Student body officers then delivered a message of positivity to the walkout participants. Talbot read the message aloud to the students, challenging them to take the time to show kindness and support to their peers and to go out of their way to be there for those in the school who might need a friend. At the end, the student body officers read aloud the names of the 17 people who lost their lives in the Parkland, Fla., school shooting, and a moment of silence was observed for them. After the moment of silence was over, the Messenger had the opportunity to speak to some who attended. Dax Higgins, technical instructor for district teachers, was watching the walkout from a distance, and after it was over he commented to the Messenger that he thought it was great the students were showing their support for something they believed in.